This past weekend, I had the honor of attending my cousin's ordination to the priesthood. Having never been to an ordination before, I have to say, the entire liturgy was VERY beautiful, and I was glad I could make the trip with my family to see it. 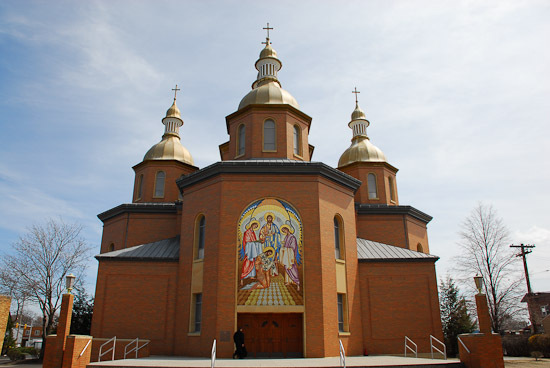 I should preface this with saying that although I am Roman Catholic, many on my maternal grandmother's side of the family is Ukrainian-Greek Catholic of the Byzantine Rite. 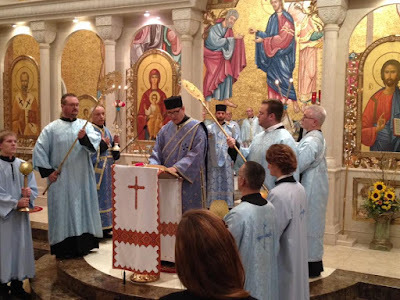 My cousin was ordained a deacon in the Ukrainian-Greek Catholic Church a few years ago, and finally, after a lot of discerning between he and his wife, he was ordained to the priesthood this past Thursday in the Eparchy of Parma at St. Josaphat's Cathedral. 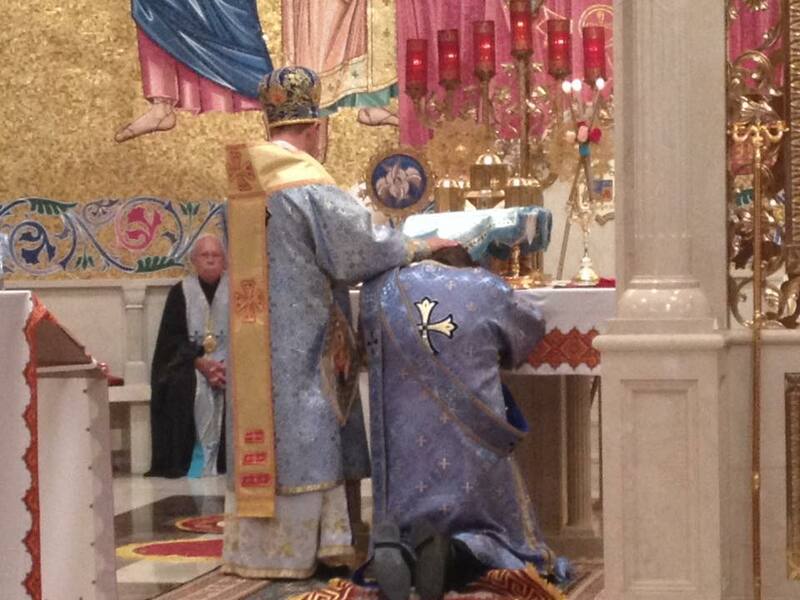 As I said, the liturgy was beautiful. The choir was magnificent, there were scores of priests present, including four bishops from the Ukrainian, Romanian and Roman Catholic Churches. Hearing the cries of "AXIOS!" (he is worthy!) ring throughout the church after both priests were ordained was truly a sight to behold. 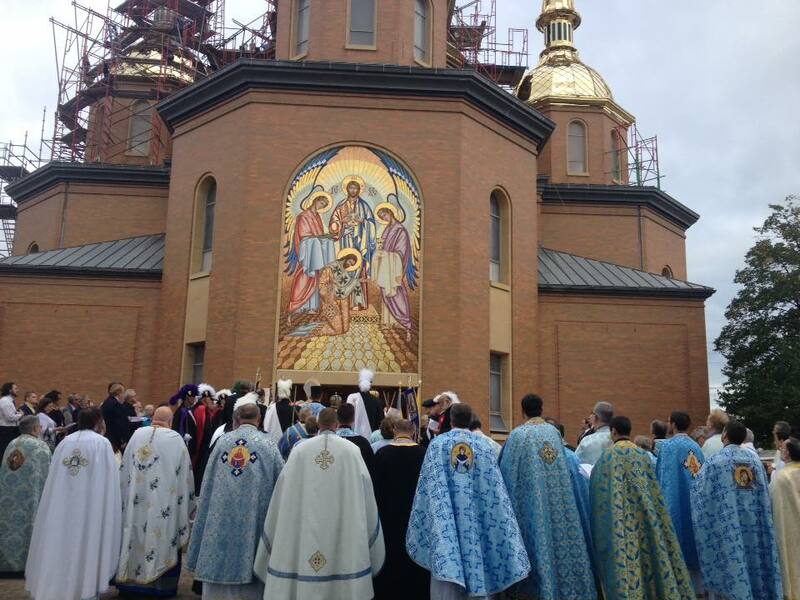 Below are some pictures from this awesome Divine Liturgy. “I want to leave you with three things you can do that will help your hearts flourish. “…Number two: Go to Confession! Do not sacrifice or let [one put] aside the Sacrament of Reconciliation. Go to Confession, I would say, at least once a month. The Church’s minimum asking us to go once a year before Easter is a minimum requirement. But if you know anything about St. John Paul the Great, he confessed daily. If the Pope needs to confess daily, then my brothers and sisters, we should avail ourselves of the Sacrament of Reconciliation much more than just once a year. In our [missals], we have a wonderful examination of conscience, and in the Western Church, you have wonderful examinations of conscience. Reflect on those maybe just once a month before Confession. That’s in a sense pulling out the weeds of sin in your heart. Trust me, if you read those and meditate on them you will find something you need to confess, because we’re not angels. “this is a joyous time… but I was in tears [earlier in the liturgy], and it’s good, I like facing the other way (East towards the altar) because you can’t see me! And I was just trying to hold them back. This was the first time I was able to hear my cousin preach after years of seeing him serve as deacon, and I think he spoke very well. I ask you all to please pray for my cousin as he embarks on this journey. For the parishioners of the two parishes he’s been entrusted to. And I ask you to also pray for his wife and three young children, as he will be sacrificing more of his time now to the service of God and others. Please pray that he will always serve God well. St. John Vianney, pray for us!